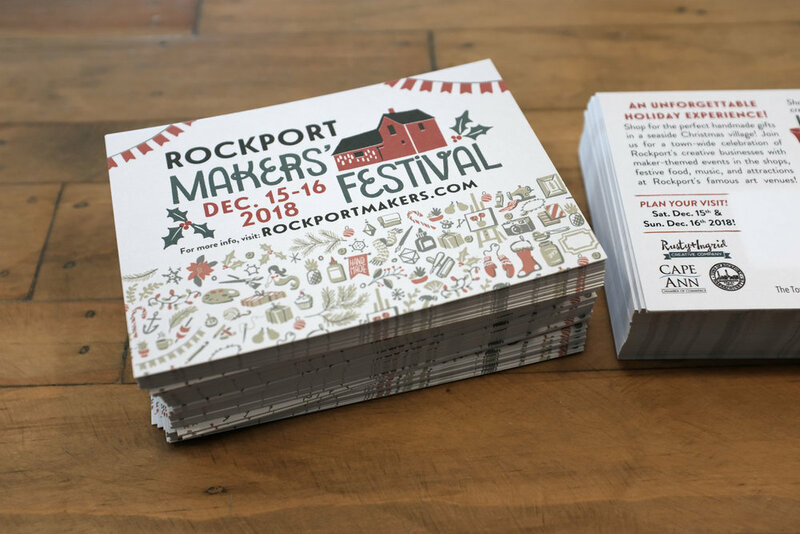 The Rockport Makers’ Festival is a town-wide shopping festival designed to attract holiday shoppers to Rockport, happening December 15-16, 2018. The more local businesses that are involved, the more successful the event will be for all involved! We are looking to activate the whole walkable village (and Whistlestop Mall) with festive decorations, attractions, and events in the shops. The theme of the festival is based on the popularity of Maker-themed holiday shopping events, which are extremely popular in New England. Since Rockport has always had a great concentration of artists and creative businesses, and it has great holiday traditions, it is a perfect fit for a Maker themed holiday shopping event! We aim to make the festival as inclusive as possible for Rockport businesses, so participation is free (funded in part by your contributions to the Cape Ann Chamber’s Christmas in Rockport marketing budget) but we do need your commitments and good ideas to bring the event to life. Think of this festival as an opportunity to showcase the creativity of your business, the creative gifts that you sell, and the festive holiday experiences that your business can provide. Shorthand for "creative entrepreneur", it is a broad concept that includes artists, designers, craftspeople, artisan food producers, etc. Emphasizing local, handmade, and trendy brands. Check out the new TV show Making It on NBC for cultural context! A Full-color handout map will be printed and made available to every visitor to the festival. Participating shops and businesses will be indicated on the map with graphic icons, along with a schedule of events and descriptions. Event banners and signs will be provided to participating businesses to hang in their shops, to guide visitors, and to make the event look festive! Wayfinding signs will be employed throughout the village to guide visitors to attractions. An interactive "Passport" feature on the back of the map will drive visitors to businesses to collect stamps. Rubber stamps will be provided to each participating business to stamp the visitors’ passport. Visitors will be encouraged to visit each participating business on the map! Completed passports, with stamps from all the locations can be entered to win a raffle! We’ll need donations for this raffle prize to make it attractive! Let’s to get the word out! We have event Post Cards and Half-fold Flyer printed and ready to go! (see the PDF versions in the “Downloads” section below) You can pick up a stack from Rusty and Ingrid Creative Company, at 11 Main Street. Hand them to your customers and mail them to your mailing list! Take as many as you need! Facebook is a great way to communicate with extended family and friend networks. We will be doing paid promotions as well, but there is nothing like personal shares and recommendations! RSVP to the event, and Share it with your friends! The more people respond to the event, the more visible it will be on Facebook! Instagram is an excellent platform for getting the word out! It is where we will be updating the progress and promoting the festival on a daily basis! We have set up an Instagram account and are actively building a following and telling the Rockport Maker’s story! Follow @rockportmakers on Instagram, like and Repost our posts! On Instagram and Twitter, if you post about this event, please use the hashtags #RockportMakers , #RockportMakersFestival , along with your favorite Rockport related hashtags! Tag @rockportmakers and we’ll share your posts! Here are some resources to help you share this event! Please Respond ASAP to be included in the marketing of this event! 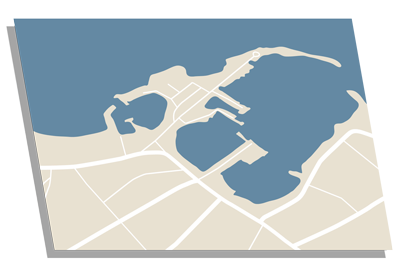 Respond by November 12th to be on the Event Map and get the SWAG! Use this form to communicate with us how you and your business would like to be involved in the Rockport Makers’ Festival.